and still the one cats can't resist. 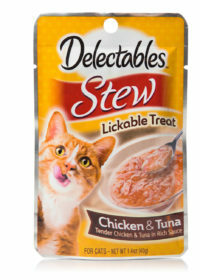 Delectables™ Lickable Treats, the first gourmet wet cat treat, combine tender real chicken & fish and delicious sauces in 3 unique textures – Stew, Bisque & Chowder – for a lickable treat your cat will crave! 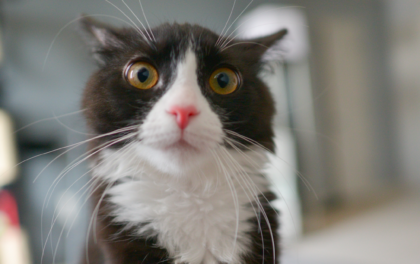 Products span kitten, adult, and senior lifestages. 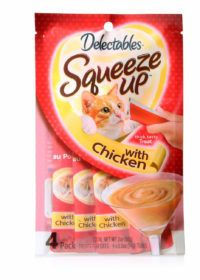 Delectables™ SqueezeUp™ is a rich, thick puree in a lickable tube you can hand feed for a fun and delicious treat! 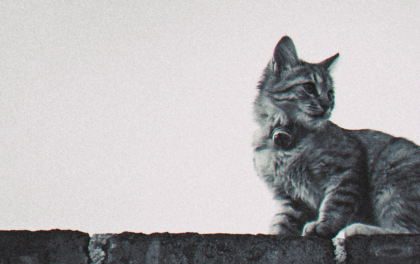 Kitten items are 100% nutritionally complete with vitamins and minerals for kitten growth. Senior 10 years+ items support senior cat health with Vitamins E and B. 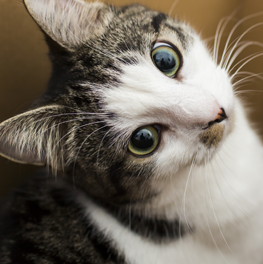 Senior 15 years+ items contain Vitamins E and B, but also added potassium and prebiotics that support an aging senior cat’s kidney and digestive health. 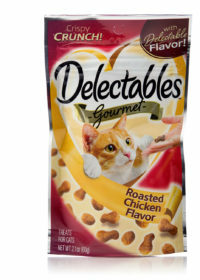 Delectables™ Lickable Treats' 3 delicious textures each come in a variety of flavors, providing many options to please even the most finicky cat! Hartz Delectables™ SqueezeUp is great hand-fed to promote bonding, but can also be served in a bowl or as a topper. Before you give a family member the gift of a new kitten, make sure you understand the responsibilities.